ACAMS is now approved according to the latest ISO 9001:2015 standard. 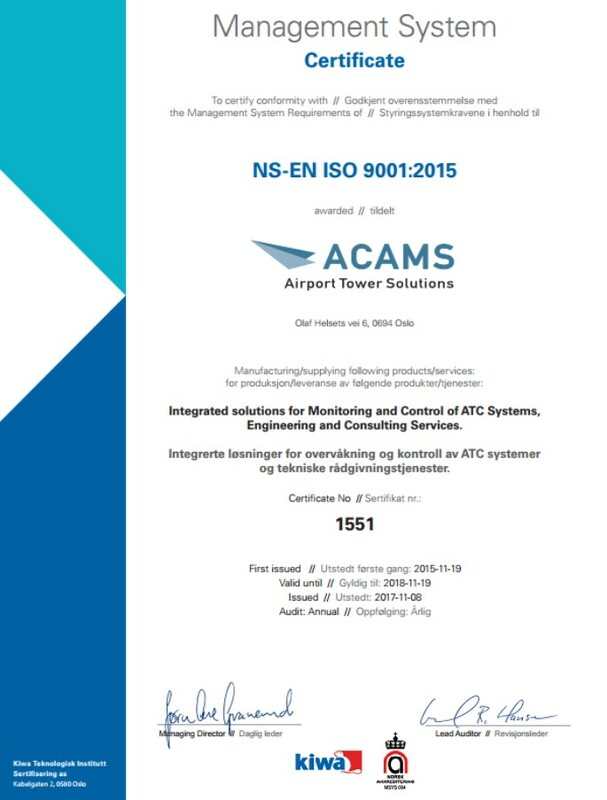 After several years operation within the ISO regime, and with approvals according to ISO 9001:2008 standard, ACAMS is now approved according to the most recent ISO 9001:2015 standard. 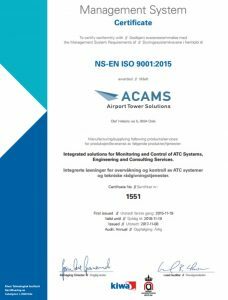 ACAMS ensures the highest possible quality in all processes of our business, and are proud to have been certified according to the new standard. The external verification has been executed by KIWA – Norwegian Accreditation, involving every proses in our value chain, from sales to development and project delivery, to customer support. All supplementary processes and management processes have also been reviewed. Our customers and business partners can rely on continued high-quality work from ACAMS.